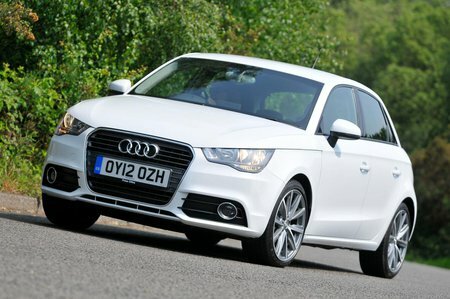 What's the used Audi A1 hatchback like? Just because a car is small doesn't mean it can't be a premium one, even if it follows logically that it might not be a cheap one. The Audi A1 is a prime example of this. A near-perfect driving position, an elegant dashboard and solid controls immediately demonstrate that the A1 is a classy car, much in the mould of its bigger brothers. Refinement is top notch and you’re well insulated from wind and road noise, even at higher speeds. But these hushed road manners haven’t come at the expense of the driving experience, as the A1 has agile handling and responsive steering. There’s the option of a firmer set-up, but this is best avoided, as are the larger alloy wheels that some of the S line cars came with. The A1’s sloping roofline means the back seats are best suited to children, but there’s decent leg room compared with other stylish superminis, such as the Alfa Romeo Mito and Mini. The boot is a decent size and some A1s get a height-adjustable boot floor that lets you divide up the available space. However, it is worth pointing out that, on some versions, either the battery is stored in the spare wheel well or, on cars fitted with the optional Bose surround sound system, the subwoofer. If you need a more practical A1, then there is always the Sportback version with five doors, which makes it easier for people to access those rear seats. In addition to the doors, you can tell a Sportback apart by the optional contrast roof. The three-door car has only its roof pillars painted in a different colour, whereas the whole roof is in a separate colour on the Sportback.